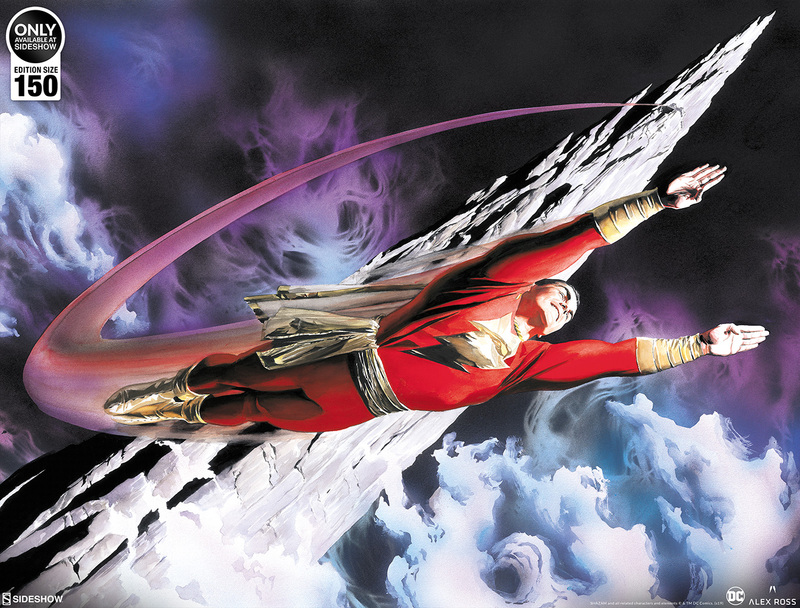 Sideshow and Alex Ross Art present the SHAZAM! 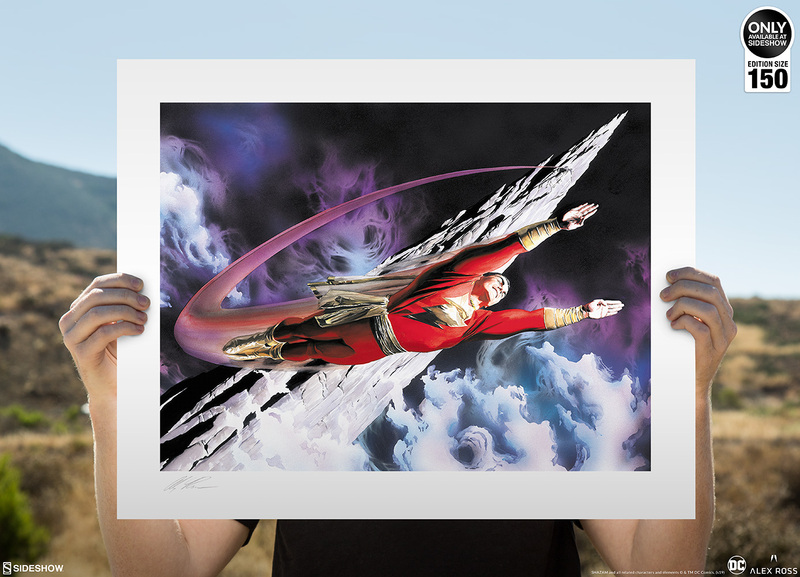 The World’s Mightiest Mortal Fine Art Lithograph. 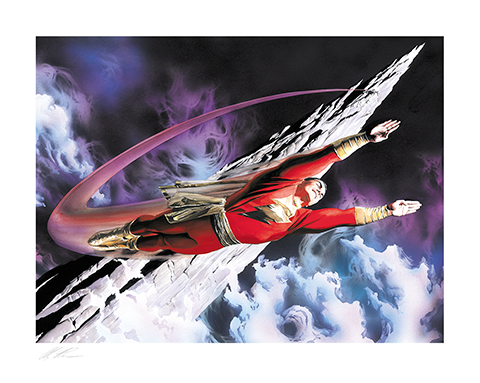 Take flight with Shazam in this dynamic and detailed illustration by artist Alex Ross, as Billy Batson transforms into the World’s Mightiest Mortal. 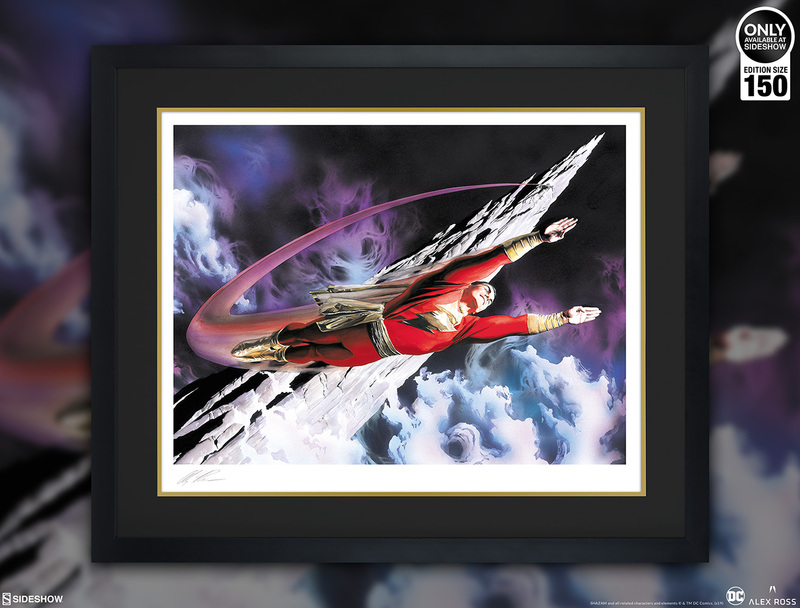 After saying the magic word, young Batson is imbued with strength, speed, stamina, wisdom, courage, and power from the Six Immortal Elders, becoming an incredible hero. 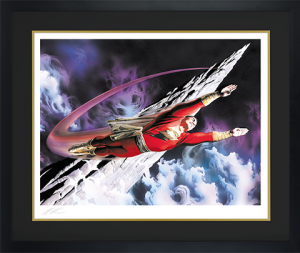 Ross captures the youthful joy and superhuman abilities of Shazam here, as he soars through the stormy skies as a beacon of peace for the world. 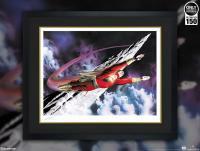 Originally created as an interior illustration for the graphic novel SHAZAM! 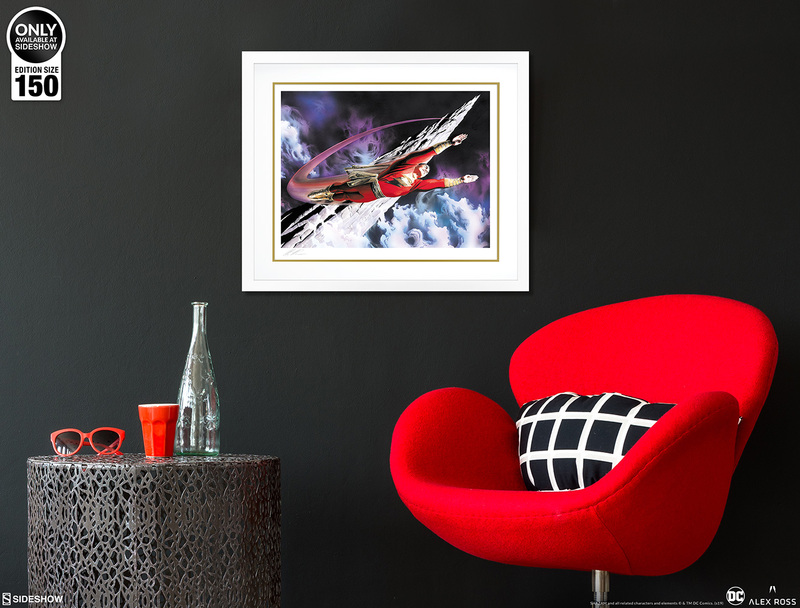 : Power of Hope, this fine art collectible has been specially reproduced for Sideshow in an exclusive limited edition of 150 pieces. 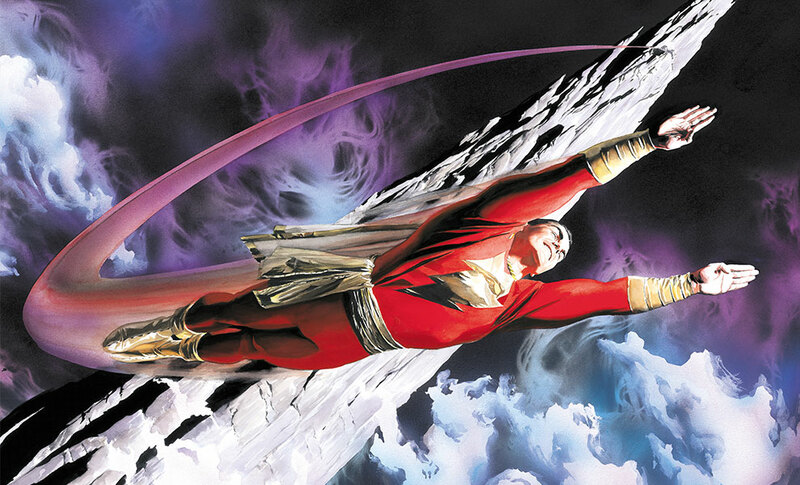 Each SHAZAM! 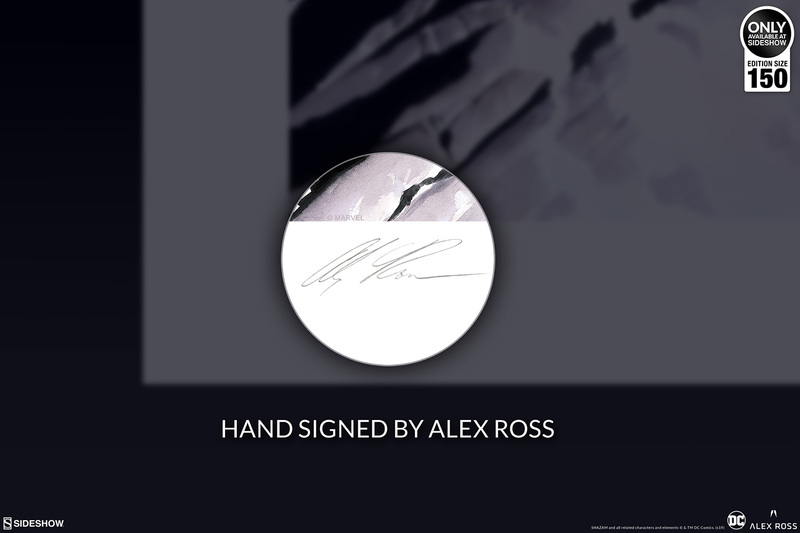 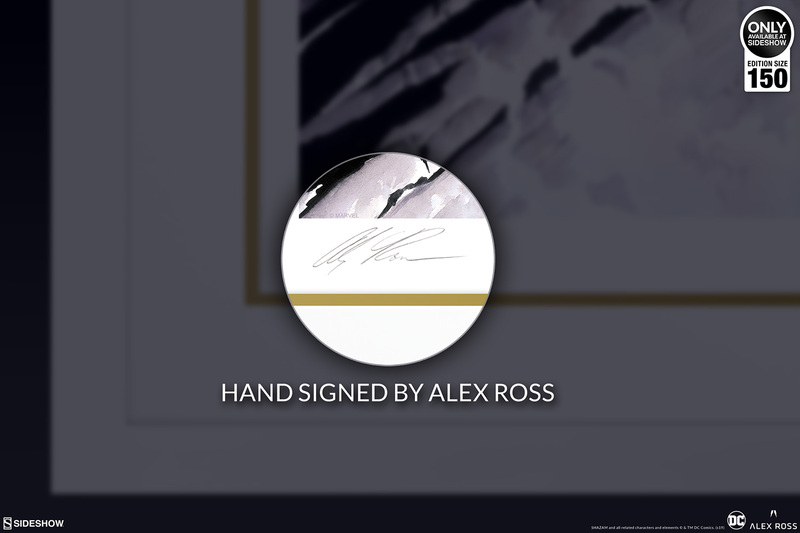 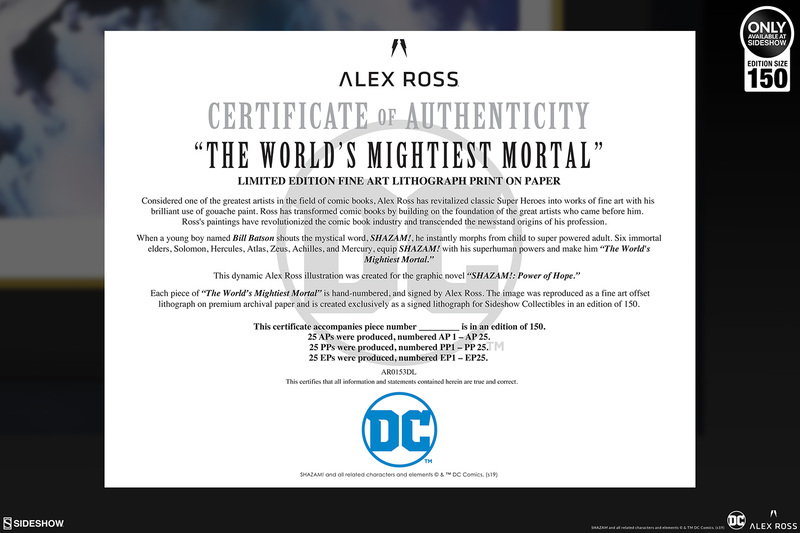 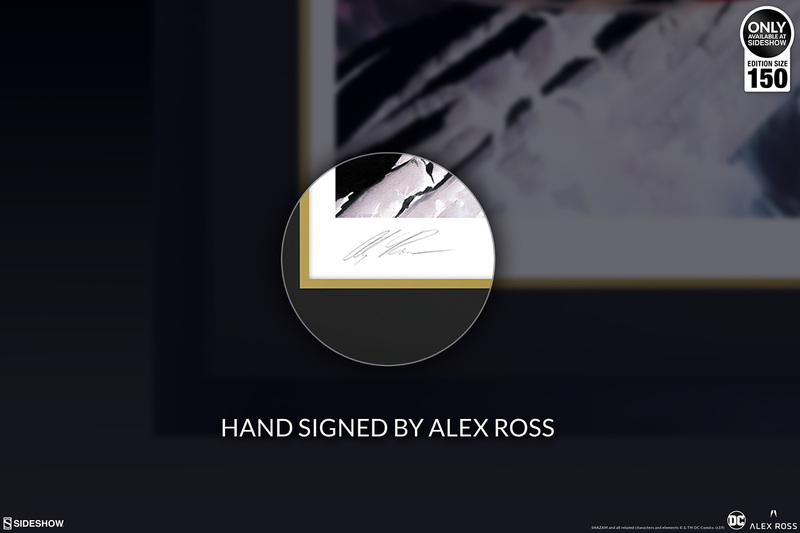 The World’s Mightiest Mortal Fine Art Lithograph will be hand-signed by Alex Ross and includes a Certificate of Authenticity. 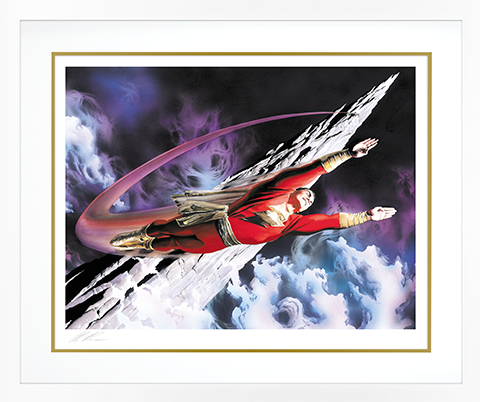 Now you can summon the strength of the elders and add the SHAZAM! 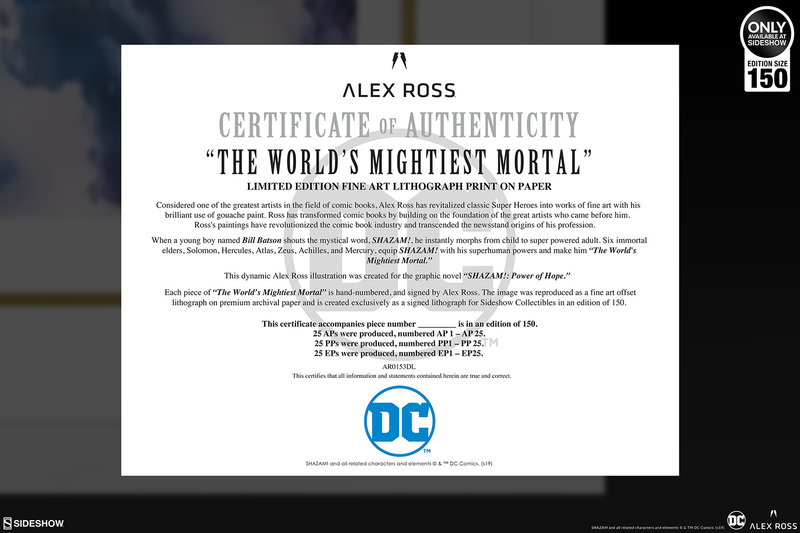 The World’s Mightiest Mortal Fine Art Lithograph by Alex Ross to your collection today! 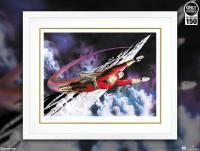 Originally created as an interior illustration for the graphic novel SHAZAM! 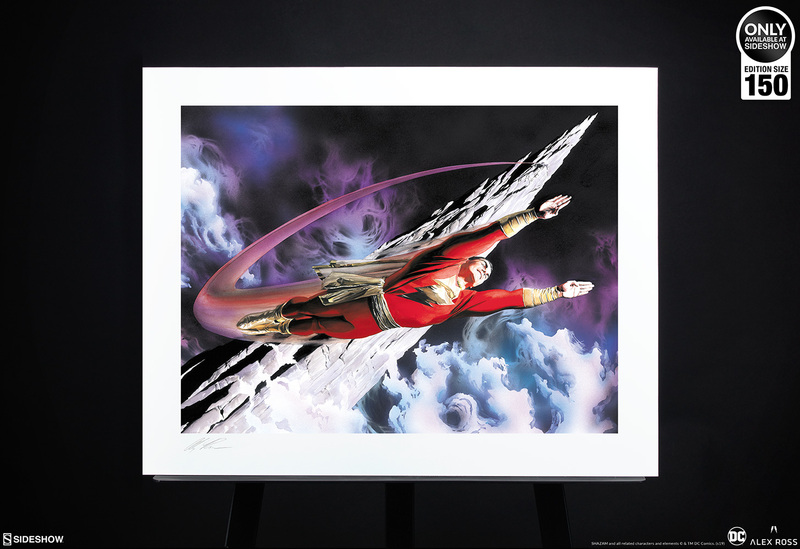 : Power of Hope, this fine art collectible has been specially reproduced for Sideshow in an exclusive limited edition of 150 pieces. Each SHAZAM! 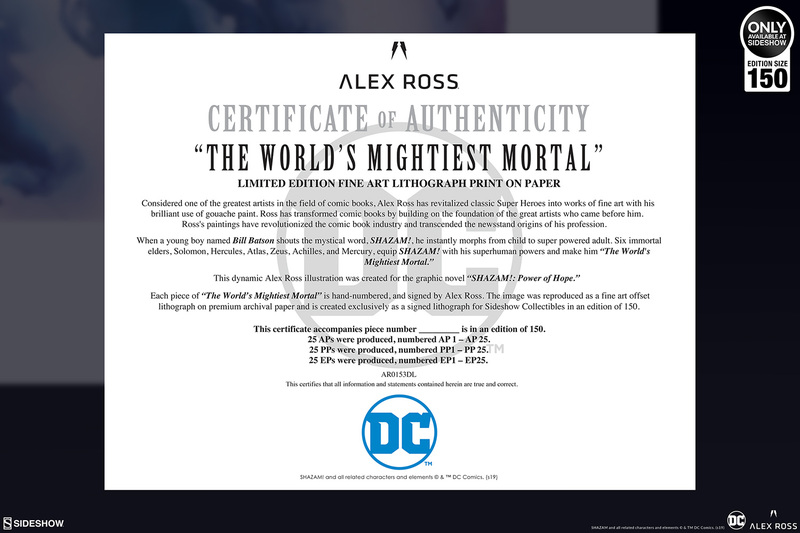 The World’s Mightiest Mortal Fine Art Lithograph will be hand-signed by Alex Ross and includes a Certificate of Authenticity. 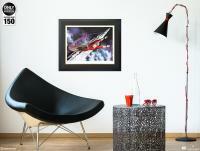 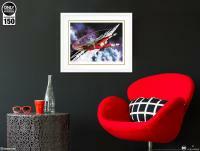 The framed edition of this lithograph features a black or white wood framing option, a custom double mat design, and a wire hanger for easy display.